Bravura Foods is an award-winning vegan and vegetarian sales, marketing and distribution business focused on putting unique and tasty products on the market. The business is a mix of distributor brands and owned brands, all of which share the same retail channels – a collection of health food multiples and independents, supermarkets, high street retailers, discounters, pharmacy, convenience and food service sectors. 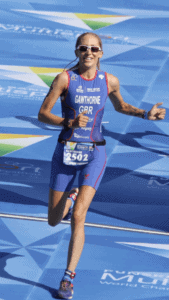 The vegconomist team was very pleased to speak with the award-winning Lisa Gawthorne, who doubles as renowned Team GB athlete and was also named as one of the UK’s most ambitious business leaders. What kind of service can you offer to vegan brands? Our main areas are focused on sales, marketing and distribution but there are a lot of other activities and functions that occur in the back office across finance, demand management and sales order processing. We are experts in taking brands from zero and scaling them up to be sizeable offerings – Captain Kombucha is a great example of this but we are also skilled in the art of taking over long-term distribution contracts that involve heritage, know-how and provenance such as Panda Liquorice. Our brands range from 1 year to 37 years in age, so we have a the ability to work with both new and well established brands in the market. We look for something unique and different in the brands we work with and they have to be oozing with USPs! Which vegan brands and retail channels do you work with? In confectionery, we have Panda Liquorice, which is our oldest brand and has liquorice heritage dating back to the early 1920s with extremely high quality recipes that have just culminated in the brand being awarded a Q Award for best confectionery product. We also have Freedom Mallows, the range of gelatine free mallows that won the Free From award in 2017. 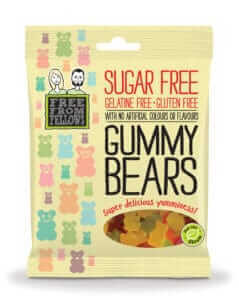 Our own confectionery brand is Free From Fellows, which spans across gummies and hard-boiled sweets and has just won the best food and drink product with Health Food Business Magazine and also won ‘highly commended’ in the free from category with your Healthy Living magazine. So the confectionery brands are all very strong players in the field. 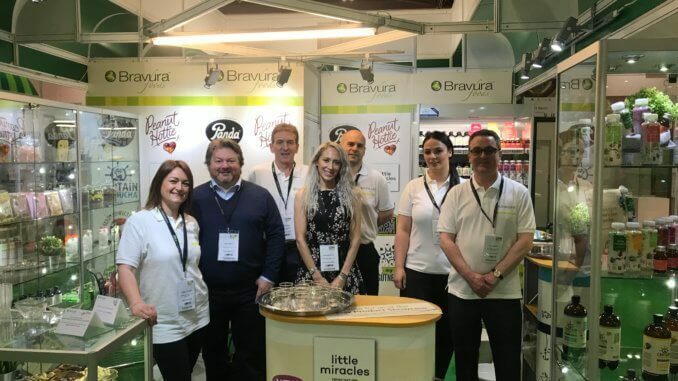 In beverages, we have the organic and fair trade superfruits/tea brand Little Miracles – a real favourite of the Kardashians and a recent winner in the Good Nutrition awards. We also have Captain Kombucha, which won best new organic product at last years Natural and Organic Products show. Captain Kombucha is a probiotic bubbly drink loved by celebs, including some big DJ acts and it has even been requested by Justin Bieber’s agent for his tour! In snacking, we have Vegan Bakery, a delicious range of vegan biscuits in top favourite flavours that are proving to be popular. Peanut Hottie Powdered peanut butter is also in this category, which you just add water to in order to make an instant low-fat, high protein peanut butter – a product loved by the health and fitness community. All of these brands are then distributed in the health food, grocery, high street, convenience, discount, food service and pharmacy sectors all over the UK. We also export our own brands and export is an essential part of our growth plan for the future, especially with all the current uncertainty surrounding Brexit. Can you describe growth and patterns you have seen in the vegan market in recent years? Historically the majority of innovation has focused on staple purchases and getting the basics right, so we have seen a lot of launches in the past in the milk, cheese, vegan meat style products. But over the last 12 months in particular we are seeing so much more innovation across many other categories tackling some of the more difficult to manufacture products that vegans miss out on. A lot of this innovation has been in the more indulgent / treat based areas. The amount of new products we have seen in chilled ready meals, frozen and ambient desserts, confectionery and of course the savoury areas, such as the famous Greggs sausage roll, has been nothing short of amazing. I struggle to think of any food now that cannot be veganized these days and that’s a really nice and unique place to be. The increase in the numbers of vegans in the UK feels like it has happened rapidly (largely driven by the increased coverage in media over the last 12 months) but in actual fact, it’s been bubbling in the background for a while. All the research pointed to plant-based launches being of significant value in the FMCG market and this is now coming to fruition. We are witnessing one of the most significant changes in the food and drink market and this change is super powerful, as it’s been generated from many different directions and motivations. Your company is on course for 50% annual growth and it had a 2018 turnover of just below £5m – can you speak of this success? Bravura Foods has been innovating in the vegan market since 2011, but over the last two years, Karl and I have been more unified than ever in our direction and we have been very much focused on a growth plan that benefits the market by offering choice to the consumers. We have also increased our team in numbers and added essential new posts to facilitate the growth plan. As our business has grown in size, so too has our customer base and we now trade with all the major retailers in the market whom we have been working with on free from and vegan fixture range planning in store. Our products are now available in more outlets than ever before to satisfy the demand coming from the growing vegan consumer market. In summary, a growth in the number of brands we represent and own, a very strong NPD plan, increased resources and an increased customer base, along with the boom in vegan numbers, have all contributed to our growth as business. Growth which is very much set to continue over the coming years. What would you say to new vegan entrepreneurs or people interested in investing in vegan business right now? In the words of Arnie; “Do it now!” ….for there has never been a better time to be in a plant-based business or to be working on plant-based product concepts. The market has developed and ripened to accept it, but products have to be of a good quality. We are past the days where vegan consumers will just accept products because its convenient or because it has a vegan label on it. It has to perform well and taste good, quality and added benefits are all hugely important so I would say don’t rush it. Take time to get it right and you should be able to lock onto real consumer loyalty this way. Investors will be looking for real innovation, something that adds value for the consumer, something that has the power to stay around for a long time. It’s worth the pain of all the business start-up headaches and product development nightmares if you truly believe in the product and you are passionate about what you are offering. You were named by The Telegraph and LDC among the 50 Most Ambitious Business Leaders – do you have any secrets or strategies, and are they specific to plant-based business? Partnerships in business are paramount to success. This relates to who you work with on a day-to-day basis, the supplier relationships you build and the customers you forge good relationships with. Being a good, effective and loyal partner in business is key and this has helped me hugely in the years of Bravura Foods. Karl (my business partner) and I both have very different skill sets but ones that compliment each other well. We are like an agony aunt for one another on any issue that crop up and together we have grown stronger through our time building Bravura Foods. The same applies to all our suppliers and customers. We endeavour to make each and every relationship with our customers and suppliers as effective and as successful as ever. After all, we all share the same end goal of business success and growth so my tip here would be to observe, plan, evaluate and work on your critical partnerships within the business. Teamwork is also key. We have an amazing team at Bravura and also quite an unusual situation in that many of the team are based from home and we are spread all over the country. This means we get less face to face time and more conference calls! However, we are a very strong team, we all believe in the company values and mission as it threads through everything we do as a business. It also makes the times we do get together in a face to face style much more effective as we plan to always get the most of the time we schedule together in sales meetings, marketing meetings or all company meeting. In addition to this, you need passion. Without passion, the journey is painful, it’s not genuine and it can become a battle. If you are really passionate about something, then your passion comes over in everything you do – from being sat in front of a supermarket buyer, to doing press interviews, to writing creative briefs – there is nothing more endearing and as satisfying as seeing true passion come over in what we do. How will vegan lifestyle develop, in your opinion, over the next few years? I think we will see a lot more happening in the fashion and beauty sectors. All the new developments with pineapple and mushroom “leathers” are making for interesting fashion finds. I think that some of the top big designers have been pretty slow to react to the vegan demand and unfortunately many of them continue to focus on fur and leather, but I do believe this will change and we will see more vegan ranges coming out. I have seen some great “faux leather” items in the likes of Guess, River Island and TK Maxx, but not as much at the higher end of the market. The same goes for ethical beauty. We have seen some amazing work from Revolution (Superdrug), Body Shop, Kat Von D but it would also be nice to see some evolution in the prestige beauty cream end of the market. Too many of these brands are still using marine or bovine extracts for their beauty creams, which is beyond ugly. They need to start realising where their future clientele will be coming from – the greener and more ethical end of the market is being driven by younger demographics – the very demographic that is the future consumer of all these fashion, beauty and make up categories. What are your future plans for Bravura Foods? Karl and I are very much focused on an aggressive growth plan for the coming 3-5 years, which will be rooted to a combination of growing our current brands in new sectors and new products, but also extending the portfolio to include other complimentary brands that share our core values, our vision and our mission across both our distributor and owned brands. We are a very selective business, some may say we are picky about who we do business with but we do this to keep the magic in the business. We back and launch brands that are unique and quirky. They have to fit well in the business, we have to believe in them and they have to compliment what we already do. This results in a focused and personalised approach to growth for all brands. We are now expanding into the convenience sector with many of our brands and export is a new area of focus in particular for our Free From Fellows brand. The future is an extremely exciting place for Bravura Foods. Anything else which you would like to add? It’s never been such an amazing time to launch, grow and prosper with unique, good quality vegan products. We at Bravura Foods feel we have been ahead of the market for many years with this strong market positioning. It’s an absolute pleasure to witness the market catching up with us and it’s fantastic to see that plant-based innovation is coming from so many angles in so many categories across so many sectors in so many countries all around the world and to see the huge part the UK is playing in this. It’s an absolute joy to watch and to be part of this hugely important, relevant and compassionate movement.